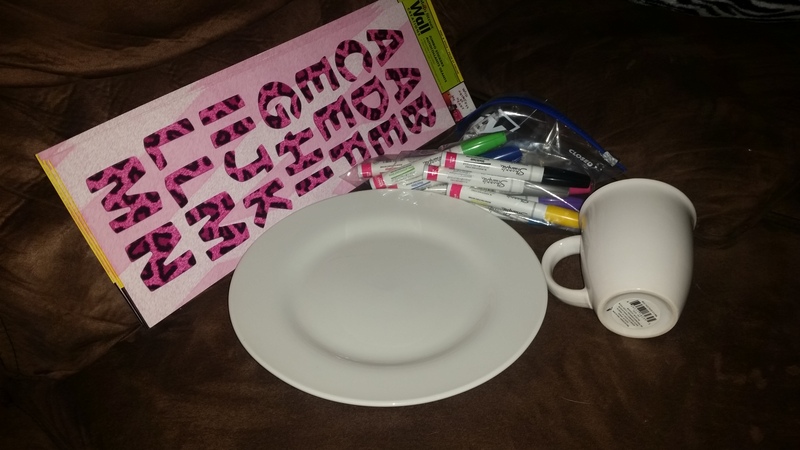 Crochet, Cook, Create: Let's Decorate a Mug! 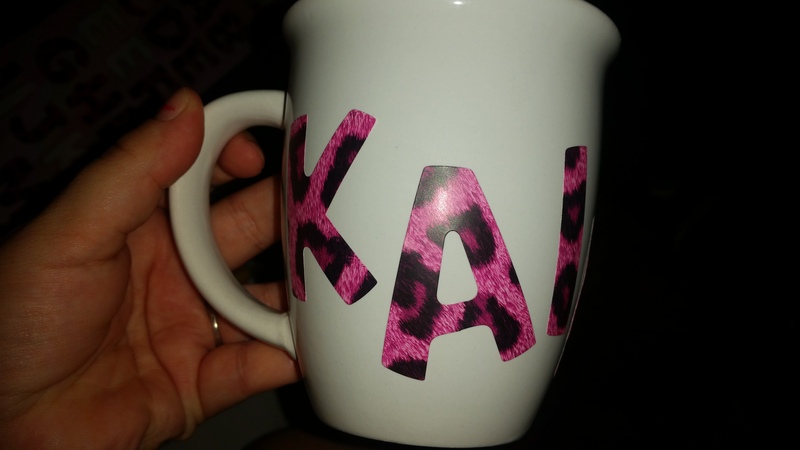 Kailee did her nick name, Kai. 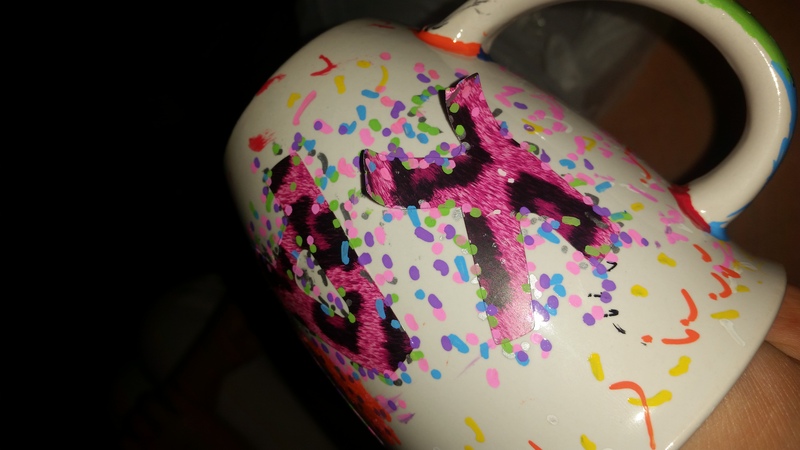 After she did her dots and colored the handle... We let dry 10 minuts, and bam!! Do not forget to bake at 350 degrees for 30 minutes; then leave in oven 3 to 4 hours to cool!! Here they all are. 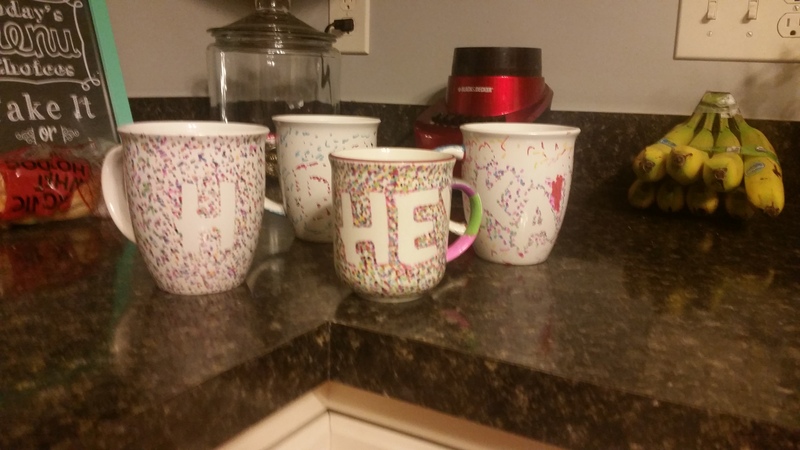 You can see Kailee's in the back right, Kristopher did 'Dog' back left, I did an H or Daniel (our last name) and the work 'hey'. Give this a try! You will be impressed how easy and cheap this is!! If you try this or any other crafts, please send us a picture to Twitter or Facebook and hashtag #organicmominthekitchen and #craftysunday!! I wanna see your creations and your children!